Recruitment is a basic need of every developing and progressive organization. But, recruiting new employees can be challenging, expensive and painful! For a hiring manager, recruiting skilled candidates to fill key positions and retaining top talent is a tedious task. Besides this, recruiters are often seen facing problems, like lack of available applicants and lack of industry-specific competencies in the prospective candidates. As a result they are unable to establish an ideal talent pool. With the development of HR technology, the impact of these recruitment challenges have reduced greatly in past two decades. Recruitment tools, which were once available to few recruiting agencies at higher prices, are now accessible to anyone around the globe. Cloud HR technology has made life of HR people easier by streamlining recruitment processes in simpler way. HR leaders are always busy managing multiple human resource functions and maintaining harmonious environment in the organization. An environment where employees are motivated to give their best performance and contribute to organizational success. In order to achieve the feat, HR managers use best online HR tools that help them to adhere HR rules and policies in the right manner. Reliable recruiting tools support end-to-end hiring cycle to find great employees and ethically hire them. Using automated tools not only helps in making the recruitment process effective, but it also shortens the time taken to complete candidate sourcing, applicant tracking, selection and onboarding. How a Cloud-based Recruitment Software Works? 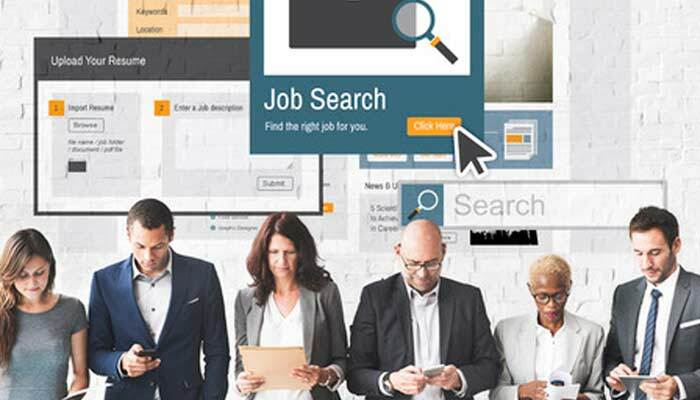 An online recruitment tool allows hiring managers to publish job posts for internal and external candidates and receive large volume of resumes from multiple candidates. Easy integration of recruitment tool with company website makes it easier for recruiters to publish job vacancies. It also allows internal candidates to view & apply via employee portal while external candidates respond to vacancies through job portal page. Recruiters schedule interviews of shortlisted candidates by assigning test coordinators and interviewers. They easily evaluate interview results and send offer letters to the hired candidates. Creating Job Requirement: To begin with the process, the manager/ recruiting manager creates a job requirement to fill a vacant position in a team. If a manager takes the initiative to create job requirement, he/she needs to take approval by recruiting manager on the same. Publishing Job Requirement: To get applicants from internal and external candidates, the recruiting manager publishes the job requirement. Shortlisting: HR manager receives multiple resumes from the vacant position. Amongst the available applications, recruiting manager needs to shortlist candidates whose skill set and capabilities match with the pre-defined job description. Using recruitment database, HR manager can also review resumes that have been submitted by candidates in the past to shortlist right candidates. Assign Tests & Conduct Interviews: For the selection of talented professionals, it is necessary to conduct interviews and tests to decide on their capabilities and skills. An automated tool helps in assigning multiple test coordinators and interviewers to interview different candidates at the same time. Interviewer Submits Feedback and Scores: When there are too many candidates that apply for a same position, it becomes difficult to compare their skills and hire the right person. But in presence of automated ATS, interviewers can give scores or ratings to the applicants and instantly share their feedback. Selection: After comparing the scores of all candidates, recruiting manager takes final decision on selection of some candidates. He/ She also performs background verification of the selected candidates before giving out job offers. Job Offer: On the basis of reference checks, the recruiting manager takes a final call for the finalized candidates and send them the offer letters. Employee onboarding tools are helpful in preparing new employees for their new job role and responsibilities. Most of the organizations plan onboarding for their new hires to make them feel welcomed, comfortable and valued. It leads improved employee performance, engagement and retention. When employees realize that they are valued, they are inclined to move an extra mile to achieve their organizational objectives and add more value to company profits. Configure Onboarding Form: An online employee onboarding tools allow HR to configure onboarding forms depending upon the company process. Initiate Onboarding Process: The HR manager initiates onboarding process by providing a URL to the new hire where he/ she can add personal and professional details. Add Employee Information to Database: On submission of the onboarding form by employee, HR manager completes other job related details and submits this form to HRIS database. Generate Employee Code: On completion of this step, employee code is generated and given to the new employee. Don’t you think online onboarding and applicant tracking tools simplify the recruitment process very conveniently? They take care of all your recruitment challenges, right from sourcing to hiring. They really do! If you are interested to know more aspects of recruitment tools, take a free trial to end your curiosity.